If moving from your current location in London was something that was worrying you and bothering you then it is time to put the past behind you and start moving on and moving up by calling up the experts at Moving Service on 020 8746 4402. Our professionalism and experience sets us apart from other similar London removal companies and transportation firms, as well as many more points as well. Relocating with our team of moving pros can guarantee that your personal belongings, furniture, commercial items and other goods do not get lost, stolen, broken or damaged in any way along the journey. 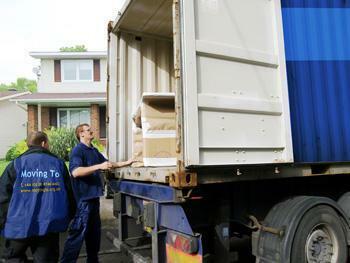 Other companies are unable to relocate the items' and personal belongings' of our clients because they simply do not have the adequate amount of experience and knowledge on the subject and so it can be a little risky trusting an inexperienced and uncertain company to move your treasured possessions successfully without any added inconveniences, hassles and other problems which are likely to occur if you choose the wrong removals company London for your move. In all the years in which we have been moving our customers however, we have never had any problems in relocating their belongings, furniture and goods for them and because we offer such a wide choice of services and different kinds of moves for our clients, we are positively certain that you will have no trouble in finding exactly what you want from our company should you choose to hire our services for the job of relocating you from London to your new destination. 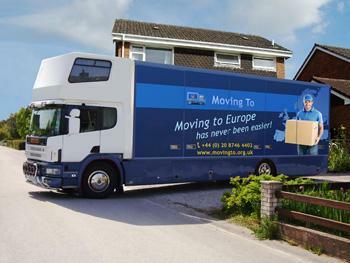 Finding a professional, trustworthy and reliable removals company to transport your belongings is the easy part, but finding a suitable company that you would like to work with such as Moving Service that will move you without any hassles and that caters for those movers who are relocating to different areas near and far is the tough task. Not every removals company is happy or willing to relocate your belongings to a place that they are unfamiliar with or that is listed on their list of possible destinations however, our firm is different in this way as we will transport your boxes, bags and any other type of furniture or item that you would like to relocate to a variety of different destinations both nearby and overseas too. Our moving services start in London and will take you near, far or to wherever you would like and need your items to be transported to! Our handy relocation services are conducted fast, efficiently and at a time that does not disturb your daily time frame and usual every day schedule so you need not rearrange anything that you usually do in order to be able to accommodate your move from London to your new destination. Moving from London is an exciting new prospect for you – we are sure of it, which is why hiring our dedicated, reliable and reputable removals firm is the best way to ensure that your relocation goes smoothly and stays positive from start to finish. Many people complain that their move gets stressful and hard work as the moving process gets underway even if it did start off easy in the beginning. Hiring a professional removals company to move you from London is the only way to guarantee the safety, reliability and the security of your forthcoming relocation so do not miss out on this great opportunity to hire our team of dedicated London movers. 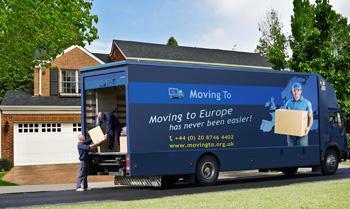 We provide handy and affordable relocation services for those who are relocating from London to Madrid, from London to Paris, from London to Marseille, from London to Cardiff, from London to Swansea, from London to Dublin, from London to France, from London to Spain, from London to Scotland, from London to Barcelona, from London to Portugal, from London to Edinburgh, from London to Milan, from London to Rome, from London to Italy and from London to many more local and exotic destinations. Relocating from London to your new commercial or domestic property either within the United Kingdom or somewhere else within the other European countries in which our company covers is made simple and convenient with our professional relocation firm, as we give our clients exactly what they want in terms of quality, professionalism and great overall relocation services. We know that we never and have never to this day operated the same type of move twice because our experience and vast amount of knowledge in relocating is the reason for us knowing that no two moves are ever the same, just like every client that we meet is different and unique in their own way and should be treated as an individual and this iswhy our removal services from London are made to suit the needs and requirements of each individual move and the client who needs our services. If cost is an issue for you then do not be put off from calling us on 020 8746 4402 to discuss your situation with our office personnel, as there is always a way in which we can overcome any type of problem or issue when you are in the hands of our fantastic London moving team. Do not be put off by our professionalism, as this does not mean that our prices are unrealistic and unaffordable to you, as our rates really are not that expensive and can sufficiently meet any budget no matter the amount. Even if your budget is very limited, this does not necessarily have to mean that you be unable to find just what you want from our company, as our moves are affordable and budget friendly for all. Hiring Moving Service to relocate your belongings and all of your commercial and domestic items from London is the smart way to move so call us today and get moving on your London removals!